Arguably, Piedmont’s cuisine is Italy’s finest. It’s a region of varied landscapes, still relatively undiscovered by tourists. If what you really like on holiday is to switch off completely, then book one of our agriturismos in Piedmont. They’ve all been personally visited and selected by me, Margot. The map above shows all my agriturismos in Piedmont. Because I’ve only selected the very best, they quickly get booked up, so don’t delay! 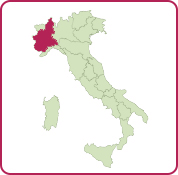 Piedmont lies between the Ligurian coast in the South and the Italian lakes in the North. The name Piedmont means “at the foot of the mountains”. Between the towering Alps and the flat Po valley lies an undulating landscape dotted with old towns and villages. Vineyards clothe every slope. When I lived in Milan, this is where I would often retreat for a relaxing weekend. In Piedmont you’ll find a host of charming towns and villages, like Asti, Alba and Barolo. And of course, bustling Turin, the birthplace of Fiat. 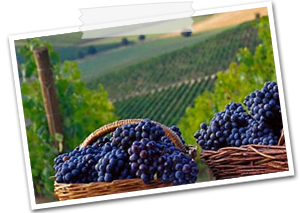 And don’t miss the local delicacies: the region is famous for its Barolo wines, for sparkling Asti and for truffles. And it is the cradle of the slow food movement. So enjoy, and….slow down! The prettiest agriturismos, chosen specially for you! Slowing down is just what you’ll do in the luxury agriturismos I’ve selected. An agriturismo is a working farm with accommodation for holidaymakers. You’ll be staying in a luxury suite, a romantic room or a comfortable apartment. Many agriturismos have their own swimming-pool, and sometimes even a restaurant (with delicious local dishes). Wherever you are, you’ll be in the countryside, often surrounded by hills and vineyards. With the map above you can make your booking at your favourite agriturismo in Piedmont. If you’d like to look even further afield, take a look at my agriturismos in the Italian Lakes or my agriturismos in Tuscany. Need help? Just mail me. I know the region and each agriturismo well.